My research interest has been focused on analytical method development for searching for bioactive compounds from bio-natural sources. The ongoing projects including developing an analytical method by using HPLC coupled with enzyme reaction for determination of antioxidants in plants, developing a peptide analysis system for fungi infected insects by using LC and ESI-ion trap mass, developing ESI-MS methods for analysis of bioactive compounds (antioxidants, ant tumor agents, peptides and proteins), developing plant tissue culture system for production of stil benoids , especially for piceatannol and resveratrol. 10.李秋慧，古國隆，劉景平* (2011) 儲存條件及時間對胡麻（Sesamum indicum L.）油主要香氣揮發物質含量之影響。J. Agric. For. (NCYU). 8: 73-85. 13.Ku, K.-L.; Hsu, C.-F.; Liao, Y.-K. (2012) Production of Acteoside in Hairy-Root Culture of Paulownia fortunei Hemsl.Taiwan J. For. Sci. 27: 13-29. 25.鄭雅今，古國隆* (2007) 質譜在植物防禦素研究上之應用。CHEMISTRY (The Chinese Chemical Society, Taipei). 65: 157-167. 1.Huang, H.-L; Ku, K.-L. (2012) Coupling Desorption Electrospray Ionization with Screen-printed Electrode for Analyzing Antioxidants in Biological Materials. 60th ASMS Conference on Mass Spectrometry and Allied Topics, TP 724. 2.Li, Y.-H; Ku, K.-L. (2012) Investigation of Antioxidative Components in Apocynum venetum L by LC-SPE/MS. 60th ASMS Conference on Mass Spectrometry and Allied Topics, TP 311. 3.Liao, C.-I; Ku, K.-L. (2012) “Specific Antioxidant Index (SAI)” as Identification Card of Polyphenolic Compounds. 60th ASMS Conference on Mass Spectrometry and Allied Topics, TP 308. 4.Huang, H.-L.; Liang, J.-T.; Liao, C.-I; Lu, Y.-S.; Yung L.-C.; Ku, K.-L. (2011) Potential hepatoprotective components in Taiwan's endemic plant: Cirsium arisanense Kitamura and Cirsium kawapokamii Hayata: screening and identification with on-line HPLC activity assay and paralleled LC-MSn. 2011 International Conference on Food Factors, P2-100. 5.Ku, L.-L.; Kuo, C.-H. (2011) New Cytochalasins with Potential Actin Blocking Activity from Metarhizium anisopliae Ma0407. 36th FEBS Congress Biochemistry for Tomorrow’s Medicine, P20.25. 6.Liang, J.-T.; Cheng, C.-C.; Hsu, S.-T.; Ku, K.-L. (2011) Metabolomics of Phalaenopsis by LC-DAD-MS. 59th ASMS Conference on Mass Spectrometry and Allied Topics, WP 219. 7.Huang, H.-L.; Ku, K.-L. (2011) Analysis of Natural Antioxidants by Electrolyte-Free HPLC-SPE/MS. 59th ASMS Conference on Mass Spectrometry and Allied Topics, ThP 100. 8.Liao, J.-Y. ; Ku, K.-L. (2011) Development of Signal Ratio Based Antioxidant Index for Assisting Identification of Polyphenolic Compounds by Mass Spectrometry. 59th ASMS Conference on Mass Spectrometry and Allied Topics, ThP 336. 10.Ku, K.-L.; Liao, K.-K.; Ho, Y.-H. (2010) SOD assay by LC-nanospray-MS for screening natural antioxidants. 58th Annual Conference on Mass Spectrometry, Japan & 1st Asian and Oceanic Mass Spectrometry Conference, 17P-063. 11.Ku, K.-L.; Wu, M.-Y. ; Ho, Y.-H. (2010) Activity assay and structure identification of flavonoid glycosides by LC-ECD-ESI-MS. 58th Annual Conference on Mass Spectrometry, Japan & 1st Asian and Oceanic Mass Spectrometry Conference, 17P-064. 12.Ku, K.-L.; Kuo, C.-H.; Lu, Y.-S.; Lin, Y.-J. ; Huang, H.-J. ; Cheng, Y.-C. (2010) Identification of Antioxidant Activity Components in Sugar Cane Extracts by LC/MS. 58th Annual Conference on Mass Spectrometry, Japan & 1st Asian and Oceanic Mass Spectrometry Conference, 18P-070. 13.Ku, K.-L.; Ho, M.-Y. ; Liao, K.-K.; Cheng, C.-C. (2009) Metalloproteomics of polypyridyl ruthenium complexes by LC-nanospray-MS. 14thInternational Conference on Biological Inorganic Chemistry, P065. 17.Cheng, Y.-C.; Ku, K.-L. (2008) Identification of Nitrosyl Iron Complexes by Nanospray Mass Spectrometry. 56th ASMS Conference on Mass Spectrometry and Allied Topics, MP 383. 18.Cheng, Y.-C.; Ku, K.-L. Yang, L.-C. (2008) A Post-Column Addition ESI-MS Approach for Simultaneously Analyzing Stilbenoids in Plant Tissues. 56th ASMS Conference on Mass Spectrometry and Allied Topics, ThP 159. 20.黃浩綸，陳相銘，洪文熙，吳木元，古國隆 (2007) Analysis of Hepatoprotective Components in Cirsium arisanense Kitamura by HPLC with Screen-Printed Electrodes. 中國化學會96年年會論文摘要手冊, ANA169. 21.黃浩綸，梁仁澤，廖哲毅，楊凱富，古國隆 (2007) Detection of Catechins by HPLC with Screen-Printed Electrodes. 中國化學會96年年會論文摘要手冊, ANA170. 22.邱閔絹，鄭雅今，鄭建中，古國隆 (2007) 落花生毛狀根及癒合組織中類二苯乙烯化合物差異之研究. 中國化學會96年年會論文摘要手冊, BC0057..
23.廖國凱，林容秀，古國隆 (2007) 酵素催化酸油酯化反應之研究. 中國化學會96年年會論文摘要手冊, CAT0051. 24.Kuo, C.-H.; Liao, C.-W.; Ku, K.-L. (2007) Determination of Antioxidative Compounds in Reishi by On-line HPLC Activity Analysis and Electrospray Ionization Mass Spectrometry. 55th ASMS Conference on Mass Spectrometry and Allied Topics, WP 398. 25.Ho, Y.; Yang, L.-C.; Liao, H.-F. Ku, K.-L. (2007) Screening and Identification of Potential Hepatoprotective Components with On-line Activity Assay and Synchronous ESI-MS. 55th ASMS Conference on Mass Spectrometry and Allied Topics, WP 401. 26.Chian, H.-W.; Ku, K.-L. (2007) Characterization of the Bioactive Metabolites in Metarhizium Anisopliae by ESI/In-Source Collision/Ion Trap. 55thASMS Conference on Mass Spectrometry and Allied Topics, ThP 353. 27.吳木元，古國隆 (2006) 以HPLC-ESI-MSn分析鑑定細葉十大功勞癒傷組織中生物鹼之種類. 中國化學會95年年會論文摘要手冊, A-131. 28.林武賢，劉芳綺，古國隆 (2006) 以LC-MS區別油茶皂素及茶皂素之結構. 中國化學會95年年會論文摘要手冊, A-132. 29.林麗蓮，謝琬菁，廖國凱，古國隆 (2006) Analysis of Isoprenylated Stilbenoid in Plant Tissue by Using LC-MS, 中國化學會95年年會論文摘要手冊, A-137. 30.吳纹綺，石楡鳳，鄭上容，楊琳強，古國隆 (2006) Investigation of the major components in the variation of Puerh teas using HPLC-DPPH/ESI/MS. 中國化學會95年年會論文摘要手冊, A-138. 30.錢皇維，陳巧宜，古國隆 (2006) Rapid Screening of Cyclodepsipeptide by LC/In-source/ESI/Ion-trap. 中國化學會95年年會論文摘要手冊, A-139. 32.劉芳綺，古國隆 (2006) Identification of Saponins in Camellia oleifera Abel by LC-MS. 第十二屆分析化學技術交流研討會, C-19. 33.錢皇維，古國隆 (2006) 分離鑑定黑殭菌之環狀胜肽類似物之研究. 第十二屆分析化學技術交流研討會, D-16. 34.Kuo, C.-H.; Liao, C.-W.; Lin, L.-L.; Ku, K.-L. (2006) Simultaneously Probing and Identification of Radical-Scavenging Compounds in Biological Materials with Paralleling Detection System. 54th ASMS Conference on Mass Spectrometry and Allied Topics, WP 135. 35.劉芳綺，古國隆 (2005) Analysis of Saponin-like Substances by Silver Complex ESI/MS. 中國化學會 94 年年會論文摘要手冊 , ANA0224. 36.廖振唯，吳紋綺，古國隆 (2005) Analysis of Antioxidative Components in Ganoderma lucidum by Using On-line Reaction HPLC and ESI/MS. 中國化學會94年年會論文摘要手冊, ANA0225. 37.楊琳強，王惠瑜，古國隆 (2005) Determination of Antioxidative Activity Possessed Maillard Reaction Products in Oils by on-line DPPH· Reaction and LC-MS. 中國化學會94年年會論文摘要手冊, ANA0226. 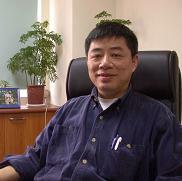 38.吳木元，曾士育，林武賢，古國隆 (2005) 以ESI-MSn分析鑑定黃柏癒傷組織中生物鹼之種類. 中國化學會94年年會論文摘要手冊, ANA0227. 41.劉芳綺，古國隆 (2005) Identification of the Major Conpoments in Seeds of Camellia Oleifera Able. by Using Electrospary Mass Spectrometry. 中國化學會94年年會論文摘要手冊, ANA0258. 42.王曼憬，古國隆 (2005)以HPLC探討抗氧化劑對trans, cis-resveratrol 轉換之影響. 中國化學會94年年會論文摘要手冊, ANA0322. 43.王惠瑜，古國隆 (2005) Analysis of Antioxidative Constituents in Beneficial Health Oils by Online DPPH˙ Reaction. 中國化學會94年年會論文摘要手冊, ANA350. 44.王惠瑜，古國隆 (2005), Atntioxdative Properties and Compounds of Camellia Oleifera Able. Oils. 中國化學會94年年會論文摘要手冊, ANA351. 52.Ku, K.-L.; Chen, W.-L. (1998) Authentication of Kuu-Char oils by near infrared Fourier transform Raman spectroscopy. Proceeding of the Sixteenth International Conference on Raman Spectroscopy, September 6-11, 1998, Cape Town, South Africa, page 274-275, edited by A.M. Heyns, John Wiley & Sons. 57.Ku, K.-L.; Sun, W.-T.; Chen, W.-L.; Yu, T.-H. (1997) Oxidative stability of Kuu-Char (苦茶) oil in relation with its volatile components. Ninth International Flavor Conference (Sponsored by the Agriculture & Food Chemistry Division of the American Chemical Society), George Charalambous Memorial Symposium, p.15, Greece, July 1-4.